We took to Instagram stories to ask for our followers’ most burning questions about Fiesta, entertaining, and styling! Which colors are essential for my Fiesta collection? It depends on your style! Are you a bright color lover? Pick up Poppy, Daffodil, Lemongrass, and Turquoise. More of a cool color style? Try Cobalt, Sunflower, Lemongrass, and Turquoise. We think that whichever way you lean, a couple of good colors to start with are Daffodil, Turquoise, and Lemongrass, as they look great with lots of different colors. What is the best Fiesta gift to give? 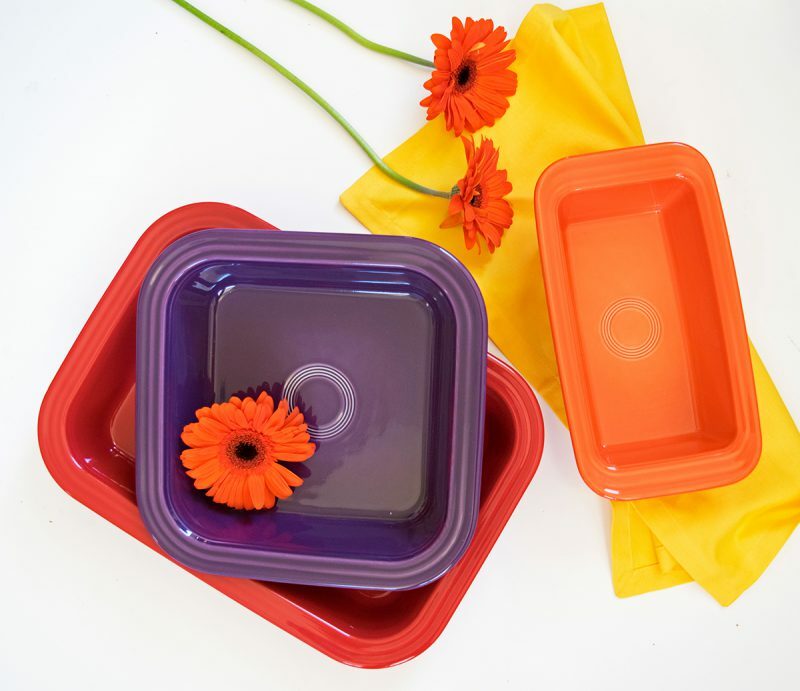 We think that one of our bakeware pieces is always a great gift to give (and receive)! A couple of our favorites are the Square Baker and Covered Casserole. What is the best first piece to start my Fiesta collection? Place settings! After you’ve built up a few place settings, you can move to adding serving pieces, such as Salt and Peppers, Egg Trays, Entertaining Sets, and more. When will you add a hot pink? This is the question we get asked more than anything else! We would love to give you all a true bright pink, but at this time we are not able to create that shade while also keeping with our lead-free promise. Creating glazes is a chemical process and is therefore more difficult than pointing at any color in the color spectrum and recreating it. We’re not giving up though! It took us years to perfect a bright red color before we got to Scarlet, so it’s possible that one day we’ll get it right. How long in advance do you select the year’s color? It depends on the color. We usually know the next year’s color family a year or more in advance, but don’t decide on the final shade until about 6 months before the introduction. We’re always thinking about color here! What item is best for hosting? 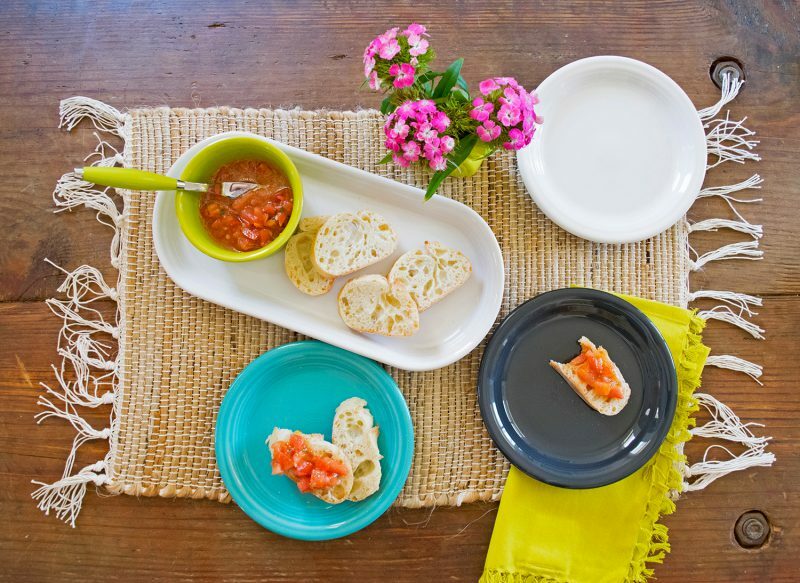 Here at Fiesta Dinnerware, we LOVE entertaining. Some of our favorite items to use during parties are the 5pc. Entertaining Set, Appetizer Plates, and the 2pc. Dip Set! Are you going to add any new items soon? Yes! 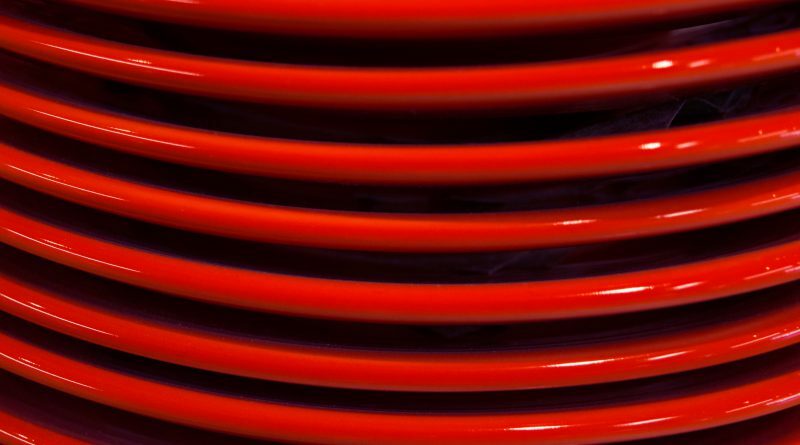 We’ve got a couple of new shapes coming to you this fall, but our lips are sealed as to what they are. What is the most popular color of all time? Scarlet has been our most popular color since its introduction in 2004, but this year Turquoise has been taking the top spot! How do I make a color combo that has a flow and doesn’t look like a hodge podge? Great question! 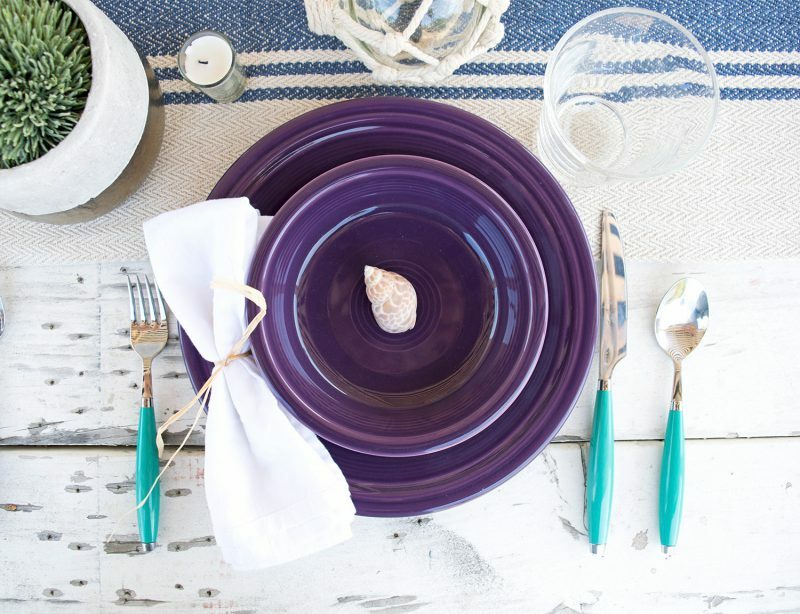 To ensure that your tablescapes have a flow, we recommend limiting your color combos to 4-5 colors. 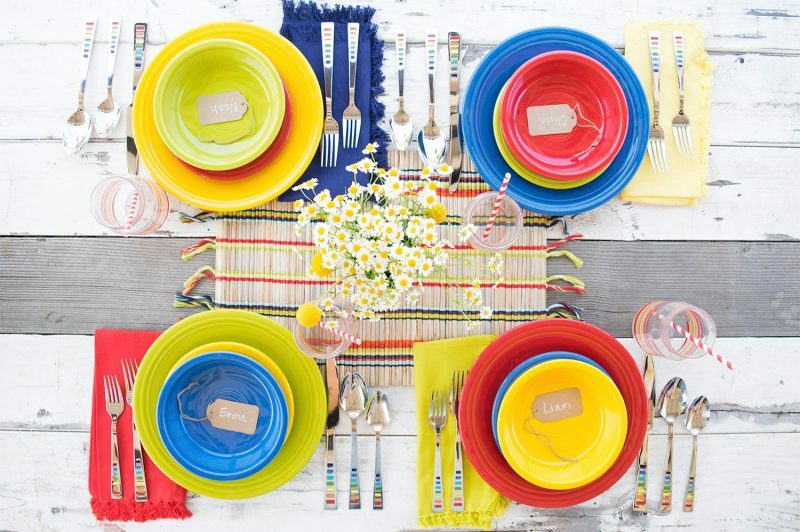 Trying to combine too many colors can sometimes make your table setting look busy (but certainly not always!). Also, don’t forget about neutrals! When our color combos seem to be lacking some depth, we’ll add White or Slate, which make the other colors pop. To practice your place settings, head on over to Colorama, our virtual tablescape designer, to get some ideas!